If you read my blog then you may remember me saying that I had two aims for 2014, one was to create a 2014 crochet blanket (to make one square for it, a week) and the other was to finally make an embroidered blanket designed by the lovely Bustle and Sew. This is the book I’m working from. 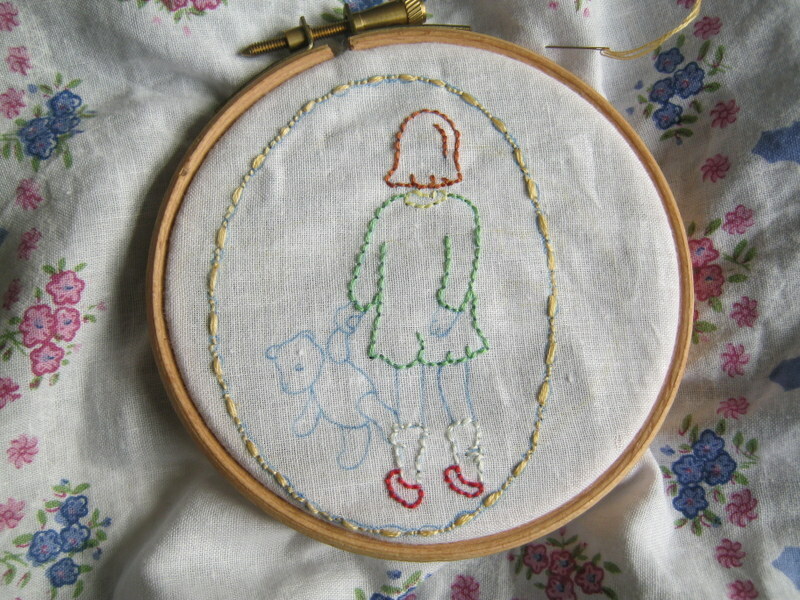 It’s inspired by her little girl (now grown up) who carried her teddy everywhere she went. There is one block for each month of the year, all remembering the various adventures the two friends went on together. I’ve been meaning to start this all month but haven’t had the courage! I haven’t done much embroidery before although I love it, and I really want to do a good job with this blanket. However, you’ll be proud of me, I’ve finally started it. Would you like to see? That doesn’t look that much like a January themed square I hear you say. Well yes, I know, that’s because it’s not. I may have been brave enough to pick up the needle and thread but not actually start the pattern. This is the label to go on the back of the quilt. I haven’t finished the bear yet but I’ve enjoyed doing the rest of it. If you keep an eye on my progress you’ll notice that ‘Rosie’ on the quilt has different coloured hair to the little girl here. That’s because I wanted to make this a tag of myself. When I was little I also had a teddy that I took everywhere. He was so loved that my Mum had to sew him up many times and in the end have little clothes knitted for him, which I’m pretty sure keep him together! 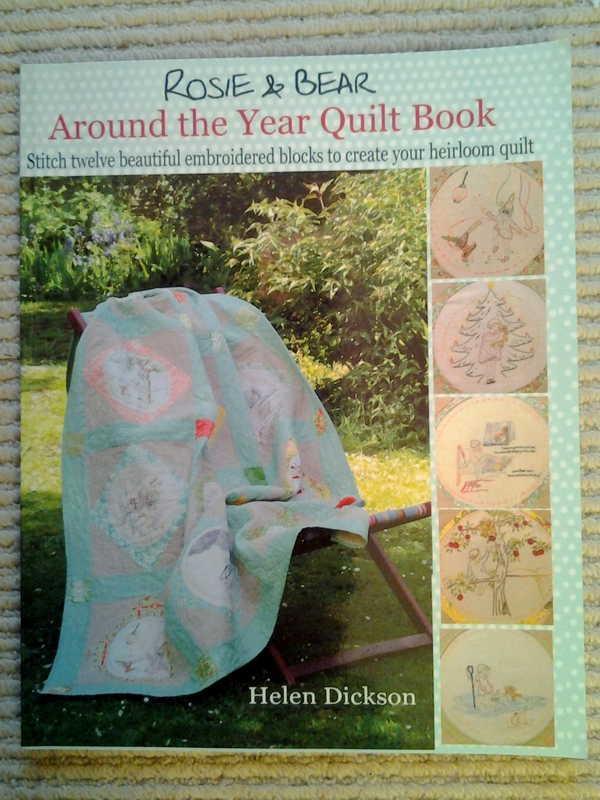 I think that’s why I loved the idea of this quilt so much. So this patch (sewn onto a vintage handkerchief ) will go onto the back of the finished quilt. At least I’ve started it now!